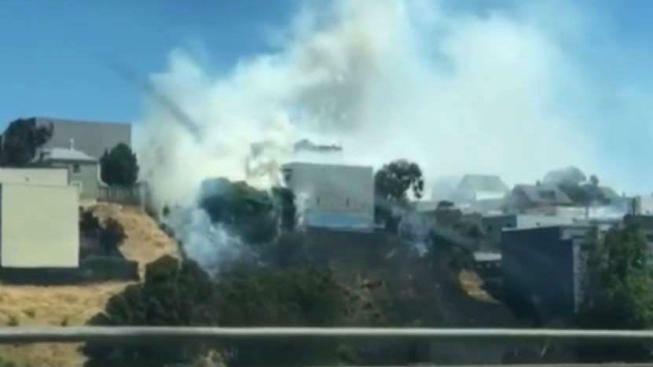 Fireworks caused a grass fire in San Francisco that threatened nearby structures Saturday afternoon and injured one person, according to officials. The fire broke out near the 100 block of Bache St. around noon. Crews were able to quickly put out the fire before it grew larger than two acres, San Francisco fire officials said. The injured person was treated at the scene. The extent of the injuries is unknown.